Kate is a relationship mentor and holds a B.S. degree from Sonoma State University. She currently resides in Sonoma, California. Most people consider breakups to be the most horrible thing that could ever happen but the truth is, they happen every single day. While a breakup does not mean the end of the world, they surely can seem that way. Breakups can be extremely hard and painful to get over. It is much easier to get over a breakup when you understand more about them. To understand breakups, you must understand how relationships work. It is easy to let depression overtake you. Decide to pull yourself out of it. People enter relationships when they feel that there is a chance of a lifetime commitment. The sad thing about relationships is that they don't always work out. In fact, the vast majority of relationship will never lead to a lifelong commitment, and that's ok! There are many reasons why a relationship can end. Every relationship that ends will end in some degree of heartbreak. It is important to know how to cope with your feelings upon a breakup in order to move on with your life. It is very common to feel a whole host of different emotions after a breakup. Don't let the flood of different feelings frighten you, this is just a normal part of the process you'll have to get through. Anger towards yourself or your ex. Paranoia about what he/she is doing now. Lack of motivation throughout the day. Self pity about your situation. 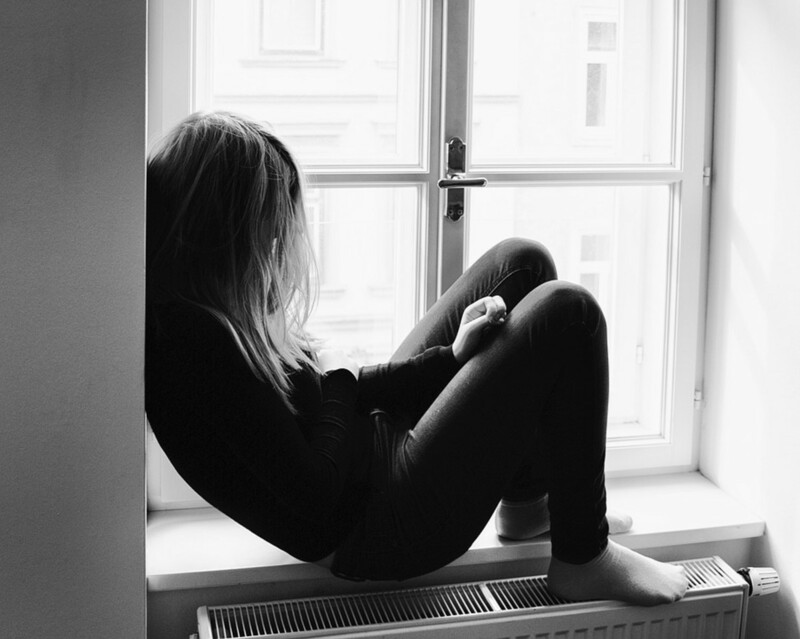 One of the most common things to feel upon a breakup is depression. Depression can be expressed in many ways besides sadness. 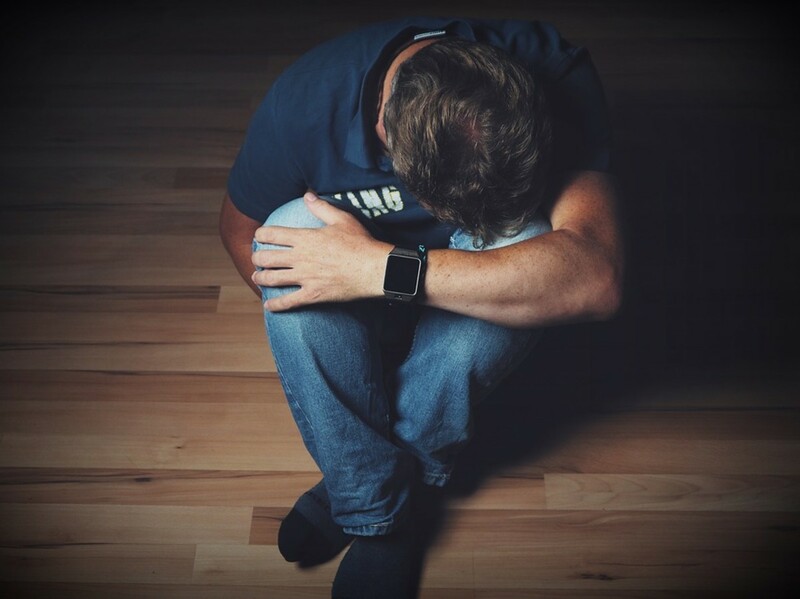 Anger and sometimes even extreme happiness can be signs of depression. Guilt is also a very common thing to feel after a breakup. 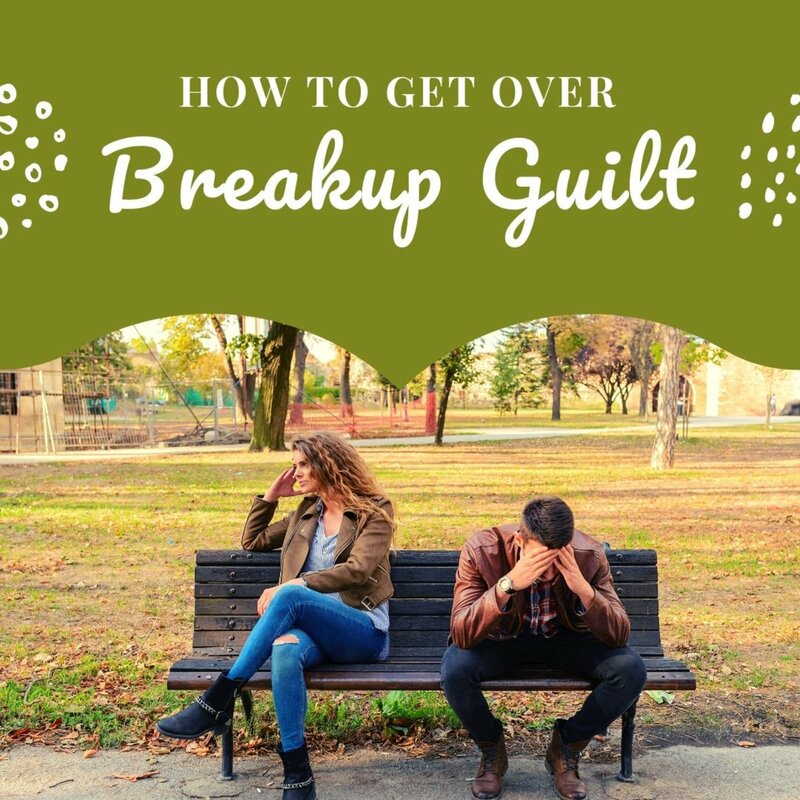 You might feel guilty about a breakup even when it is through no fault of your own. Some people try to suppress or deny their feelings, often by distracting themselves with work or other tasks or activities. This is not recommended though, as bottling your feelings could cause issues in the long run and in extreme cases, could cause you to lash out at your ex or loved ones. How Do I Know If I Am Stuck on My Ex? 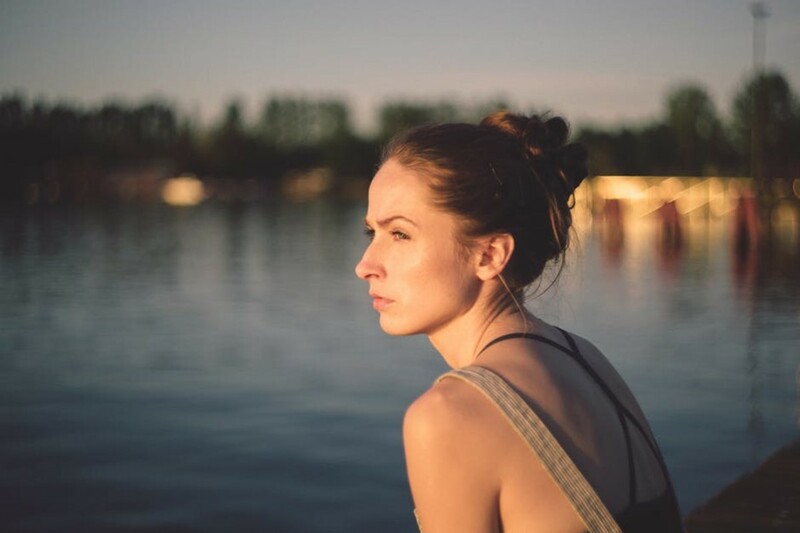 Sometimes when you are in the haze of a difficult breakup, it is hard to tell if the feelings you are having are normal given your situation, or if you are abnormally stuck on your former partner. Here are some ways you might be able to tell. You find yourself thinking about them all day long. Everyday things you see out in the world remind you of him/her. You constantly browse their social media accounts. Every song makes you think of you ex. You try and find ways to "accidentally" run into them. You drive by their home or place of work. One of the most common tell-tale signs of not being over someone is constantly thinking about them. Do you find it nearly impossible to get them out of your head? If so, you might notice that with every thought of them, you feel even worse. You'll constantly miss them and wish that you could get back together. 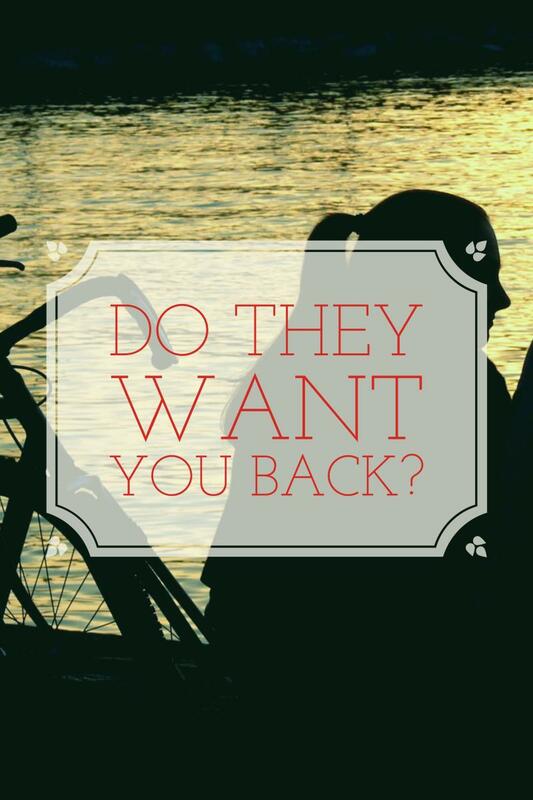 You probably check their social media frequently and you might have even contacted them with the hopes of getting back together. Thinking of them too much can even make it hard to perform simple everyday tasks like brushing your teeth and eating. It can (and does) happen to everyone. Heartache wont feel good, but your future will. Why Did I Get Dumped? There are plenty of reasons why one would end a relationship. It all depends on your personal situation. Think back on any past mistakes you made or could have made while in the relationship. Were you abusive? Have you cheated or betrayed your relationship in any way? If not, then try to think of the last or biggest argument between the two of you. Did you insult them in any way? It is extremely common for arguing couples to say hurtful things to each other, even if they don't mean them. You may have said or done something that offended or hurt your ex enough for them to want to leave you. You may not even remember what you said since it most likely could have been said in the heat of the moment. If you are absolutely sure that you have done none of the aforementioned, then it is possible that your ex simply lost interest. Most people refuse to acknowledge this but sometimes, people don't need a reason to fall out of love. Sometimes, feelings just change and people grow apart and it's nobody's fault. No matter what the reason is, it is extremely important for your own happiness that you figure out how to deal with what you are feeling. If you are constantly fighting and rarely happy, a breakup is the smartest move. Is There a Chance of Us Getting Back Together? 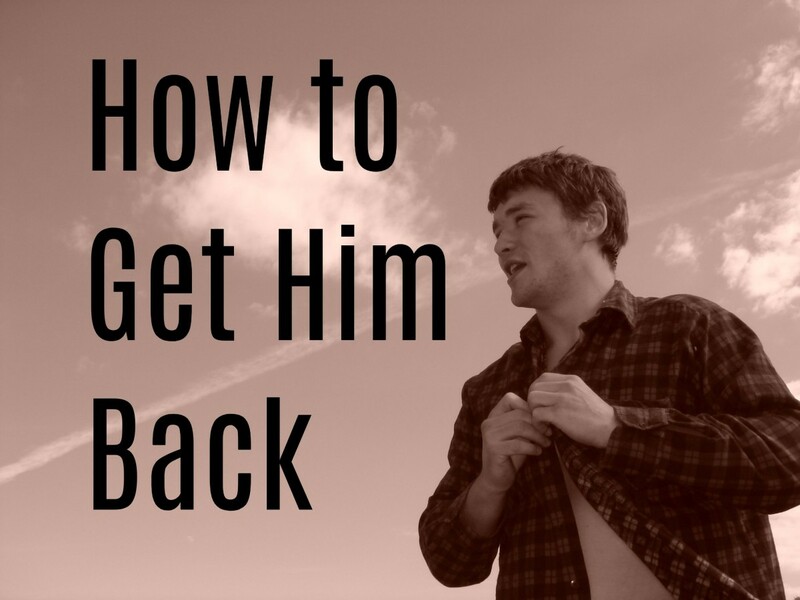 Getting back together with an ex can be extremely complicated, but it can happen. It mostly depends on the circumstances of the breakup. If any form of abuse occurred during your time together, it would be best to move on for the sake of your own well-being. Did your ex cheat on you? Taking them back could imply that you're okay with being cheated on and lead your ex to do so again. Yes, this is even the case if you express to him over and over again that it is not acceptable behavior. Unspoken actions are 90% of communication, spoken words are only 10%. If you get back together after cheating, your unspoken actions just told him/her that this behaivor was acceptable. Did You Do the Cheating? If you were the cheater, then understand that your ex's trust in you has been broken. Trust is a very difficult thing to earn and once it's broken, it's next to impossible to repair. Even if your ex does take you back after cheating, it is likely that the trust and love they felt for you will never be the same. What About Getting Back Together "for the Kids?" Another large factor to apply to the situation is kids. If you and your ex have any kids together, you may have considered getting back together "for the sake of the child(ren)." This can do more harm than good for everyone, especially if you and your ex have constant arguments and differences that simply cannot be worked out. Your children pay so much more attention than you think and they most likely would hear most of the arguing, including the things inevitably being said about them. This could cause them to feel guilty and blame themselves for your relationship's problems. Sometimes it does far less damage to your kids to breakup than to force a relationship to stay together when it's not working. As with any life experience, you should never regret a relationship, even one that ended badly... every failed relationship should teach you some kind of useful lesson. As with any life experience, you should never regret a relationship, even one that ended badly. Be it abuse, an affair, or any other factor, every failed relationship should teach you some kind of useful lesson. 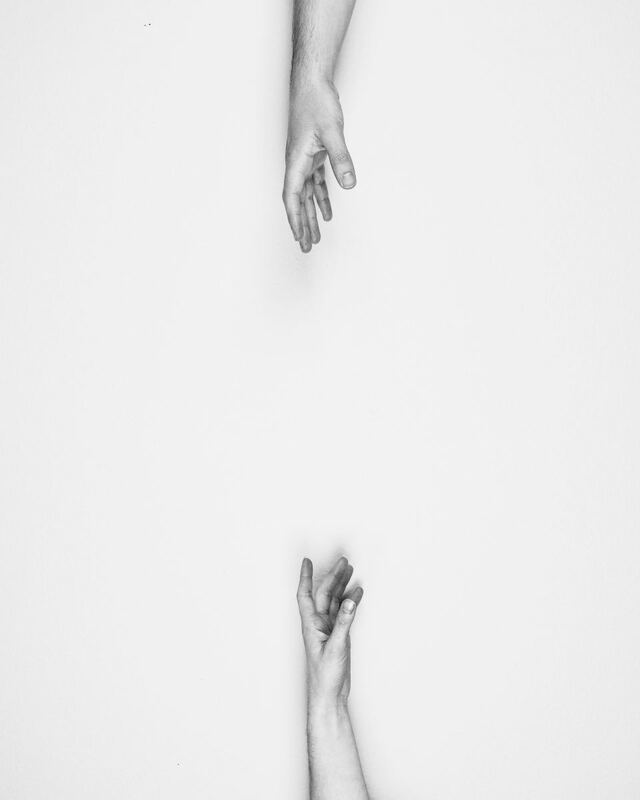 If you find yourself constantly falling for the same "type" of person or enduring the same avoidable pain and mistreatment in every relationship you enter, you may want to consider that either there is an underlying issue which causes you to allow yourself to be mistreated or you haven't learned from your previous relationships. If I Dumped Them, Shouldn’t I Be over Them? It is completely normal and okay for you to miss your ex even if you were the one who ended the relationship. Ending a relationship with someone does not mean you will be over them right away, especially if you were married or together for an extended period of time. Even if your ex was unfaithful or abusive, it takes time to let go of the feelings that you once embraced proudly. If you truly cared about your ex, you would care about them even after you broke up. Some people never stop caring about their exes which is perfectly normal (especially if you have kids together) so long as you don't allow your care for them to interfere with future relationships. How Do I Forget About My Ex? 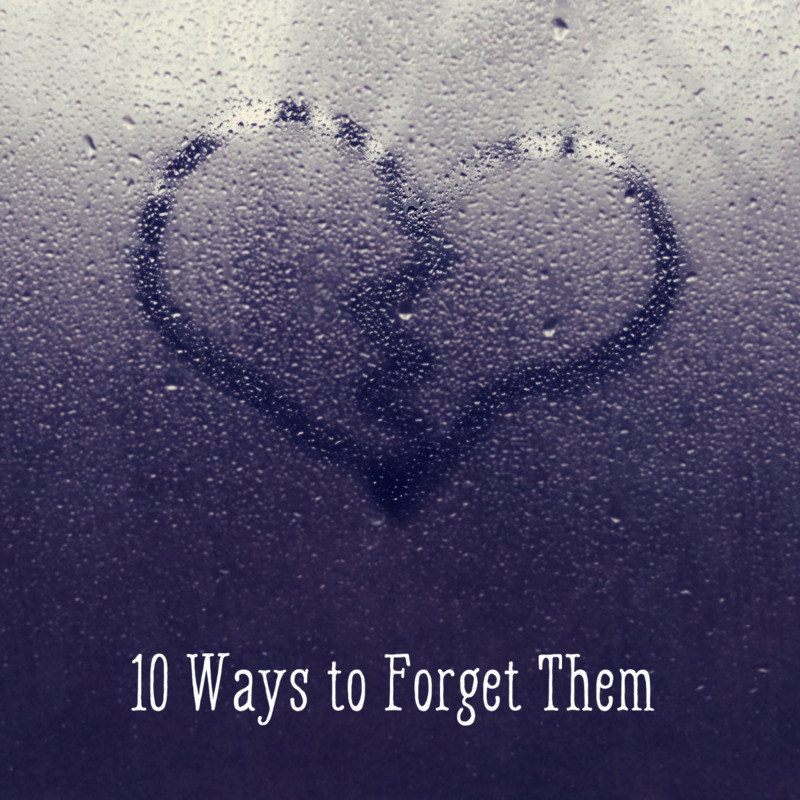 You shouldn't try to forget about your ex. You should try instead, to let go. To forget about an ex or any person is to deny that person's impact on your life, whether that impact was positive or negative. It is understandable to want all of your feelings for your ex to go away and it is very difficult to let go of the feelings that you once felt so strongly for them. But letting go does not mean to forget about them. Letting go means to accept that the relationship simply didn't work out and forgiving any wrongdoings, be it on their behalf or yours. Forgetting would also mean not taking the pain that you endured and learning from it. Every experience should teach you something and you should always use your life's experiences to guide you and help you grow as a person. You can't do that if you try to forget every bad thing that ever happens to you. What Do I Do About Entering a New Relationship? One of the hardest things about breakups is regaining the desire and courage to enter a new relationship. 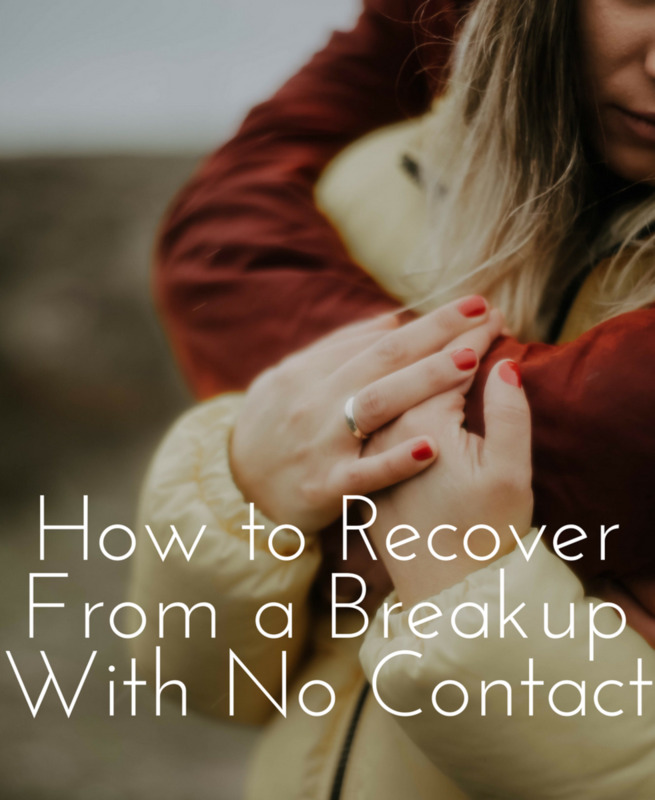 If you and your ex have only recently broken up, then it would be best to allow yourself time to heal as the wound of the breakup is still fresh. If time has passed and you have met someone new, try to take things as slow as possible. Do not enter a relationship if you are still hung up on an ex. Too many people start dating before they've taken the time to overcome the pain caused by an ex. This causes people to lash out in the new relationship in fear that their new partner will hurt them in the same way as the ex. The worst thing you can do is to project your ex's mistakes onto your current relationship. If you do enter a new relationship soon after a breakup, it is extremely important to remember that your current relationship is not your previous one and that your new partner deserves his/her own chance to prove their love and make their own mistakes. Breakups will always be a difficult and painful thing to get over, no matter what. It takes time and a lot of patience to mend a broken heart. Remember that your life is not over and that breakups don't mean the end of the world. Don't give up on finding love. What is the strongest emotion you felt after your breakup?